"We are facing the largest health crisis in recorded history"
– Dr. Theodore Baroody, author of "Alkalize or Die"
This health crisis is OVER-ACIDITY (Acidosis). This is is linked to all kinds of illness and disease. Acidosis in the body is the result of the typical Western diet and lifestyle. (Alkalosis is usually only seen in someone with kidney disease, or one taking too many alkalizing supplements or drugs intended to have an alkalizing effect). Chronic acidosis is dealt with by employing the body's alkalizing mechanisms, which will eventually deplete the body's stores of alkaline minerals (e.g. sodium, potassium, magnesium and calcium), paving the way for chronic and degenerative disease. If there are more H+ ions than OH- ions then the water is said to be acid. If OH- ions outnumber the H+ ions then the water is alkaline. The pH value represents a fluid's acidity or alkalinity level by indicating its concentration of hydrogen ions (H+) -The most acid pH value is 1, and the most alkaline pH is 14. Chronically imbalanced pH levels in your body will lead to any of the now commonly observed degenerative diseases. Any slight decrease in pH will result in lower oxygen levels in the blood and, therefore, in the cells. A healthy Acid-Alkaline Balance is decisive to the structure and function of proteins, the permeability of membranes, the distribution of electrolytes (charged particles) and the functioning of connective tissue. ✔ Ability of muscles to contract decreases as body becomes more acidic, while hormones like adrenaline increase. ✔ Digestion/Cellular respiration process - which creates energy for a cell to perform its specific task, creates acid end products (waste), which must not be allowed to build up. E.g. lactic acid is created through exercise and can cause pain. The pH level of the blood plasma and of the external and internal cellular fluids must be kept within a small range of fluctuation under all circumstances. 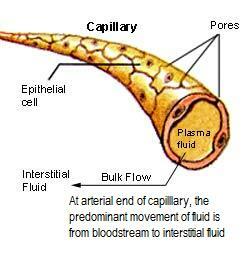 The body is ~70% water-based, and the pH level of the various body fluids inside and outside of cells must be kept within narrow limits in order for many different body processes to be carried out in a controlled way.(E.g. to sustain life, blood plasma pH must be 7.35 –7.45). All other organs and fluids will fluctuate in their range in order to keep the blood at a strict pH between 7.35 and 7.45 ((slightly alkaline). This process is called homeostasis. The body makes constant adjustments in tissue and fluid pH to maintain this very narrow pH range in the blood. 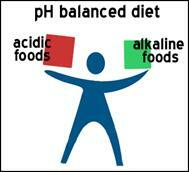 A normal pH of all tissues and fluids of the body (except the stomach) is slightly alkaline. The stomach pH is much more acid than the intestinal pH because the stomach needs an acid environment (hydrochloric acid) to break down food for digestion. Whereas, the flora (good bacteria) of the intestine need a more alkaline environment to assimilate and process the nutrients from the foods digested by the stomach. – Respiratory compensation - respiratory center in the brain stem acts within 1-3 minutes; This system is in play when you become “out of breath “after exercise - your muscles produce lactic acid, which is breathed out in the form of CO2 with a stepped up breathing rate.